My very thoughtful husband surprised me with this great gift when I returned home from CHA. 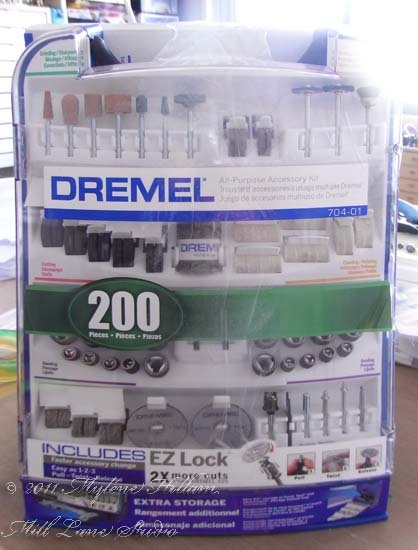 When you look from front on you can see it's a Dremel accessory kit. 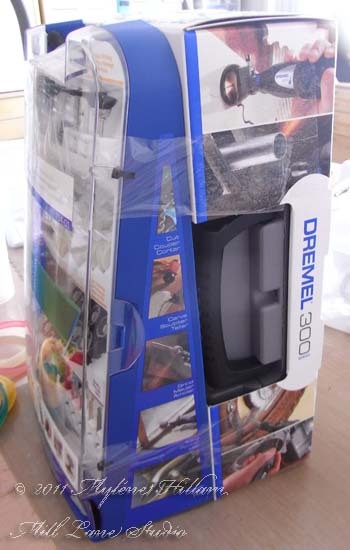 Looks pretty impressive doesn't it - 200 pieces for cutting, cleaning, grinding, sanding and carving? 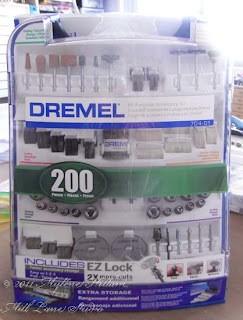 Only problem is, I don't have a Dremel! But turn the package sideways.......... and guess what? Now I DO have a Dremel! 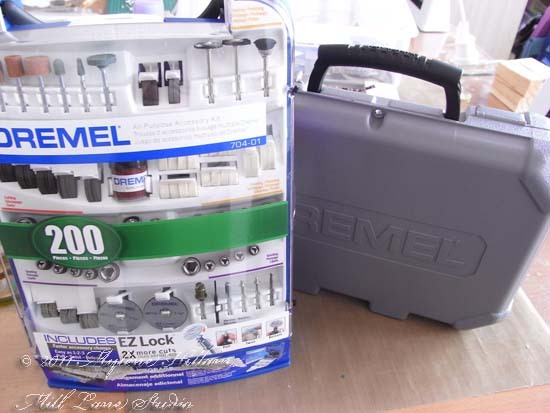 Turns out, the accessory pack was a bonus buy if you bought the Dremel. And now, I'm off to see what it can do! I'll be back soon...... if they can drag me away from the tool shed!